So you want to write a book? We’ll teach you how to write a book. Trust me, you’re in good company. 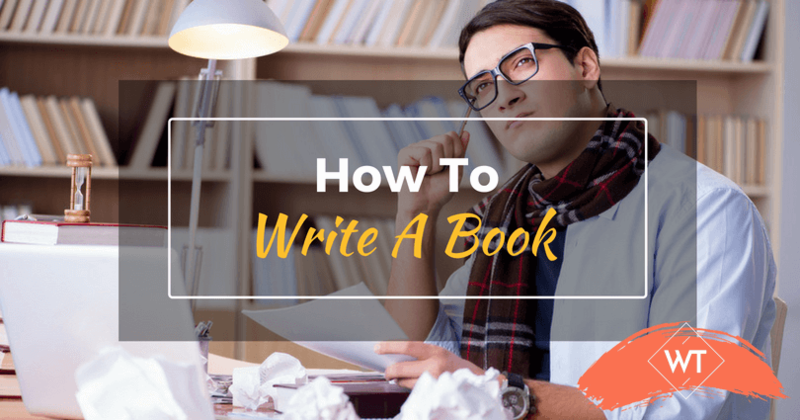 Wisdom Times happily brings you some super useful tips on How To Write A Book: 10 Steps To Becoming A Bestselling Author. More than 82% of Americans say they want to write a book “someday.” Even if you’re not in the United States, I guarantee you that the proportion of author wannabes is much the same where you live…and that it’s just about the same in every educated country. But let’s back up a second, to the final word of the first line in the previous paragraph. Most people say they want to write a book someday. If you’re reading these words, it’s because you don’t want to write a book someday. You want to know how to write a book today! The good news is that you can. Of course, you won’t finish it today. But you can start it today…which is farther than most of that 82% will ever get. You can finish it too…even if it’s not today. Many fewer of the 82% ever manage that. I’m going to show you how to do both — start your book and finish it — in 10 easy steps. Many books and instructors insist that you have to plan and organize, that you have to outline and if you’re writing fiction, that you have to plot your story. Many books and instructors urge you to follow a system — preferably their system — as the only guaranteed way to finish your book and have success as an author. I’m here to tell you that planning, organizing, outlining, plotting and plugging into others’ systems is certainly one way to write your book. But it’s not the only way. And it won’t get you started today! How do I know this? I have written more than a dozen books, fiction, and nonfiction and in a wide variety of genres, and I have never worked out any of the details in advance. Not once. For most of my books, I haven’t even known much about what they were going to be about when I started. Those same books have earned me scores of awards and five-star reviews. Three of those books — The MoonQuest, The StarQuest, and The StarQuest, which form my Q’ntana fantasy trilogy — are being turned into a trio of epic feature films. I share those accomplishments not to brag about how great I am, but to assure you that my approach can not only produce quality results, it can spark phenomenal success. So here’s how you start your book today and get it finished. Before we start with it, we want you to know whether you’ve got in you the author that you want to be. Take our QUIZ ‘Do You Have A Book In You‘ to find out how successful an author are you going to become! Do you know what your book is going to be about? Do you have an idea, a topic, a character, a theme, a premise, a notion of a plot, a thesis, an argument, a unique perspective, an experience you want to share or a story you want to tell? Whether fiction or nonfiction, every book is about something or someone, and every book tells some sort of story. That’s obvious with a novel. But it’s equally true with nonfiction. For example, even a how-to book tells a story…about how to do something better than any way it has been done before. You don’t need to know much about it. You don’t have to list your chapters or know how it’s going to end. You don’t even need to how it’s going to begin. All you need is a general idea. If you have details, that’s great. But you don’t need them. You simply need a place to start…even if it’s not the beginning. I told you that you were going to start writing your book today…and you will! We will back up to some other book-writing business in the next steps, but I want you to get started. I want you to know what it feels like to be writing a book. Because it’s a terrific feeling, and the sense of accomplishment you will get by just starting will help fuel the rest of your book-writing journey…however long it takes. If you feel the vibes of writer’s block, don’t worry we’ve got you covered. Here are 10 tips to beat Writer’s Block. Hope this article eases your flow of the creative process of writing a book. Now that you know how to write a book and overcome the hurdles involved in writing a book, Just don’t stop, go on with it! Don’t you know how to start? It’s easy. Just start. You don’t even have to start at the beginning. Just set one sentence on the page. Even one word, if that’s all you can come up. A word or sentence that in some way speaks to what your books are about. When you have written that first sentence. Write another. Don’t think about what you’re going to write. Don’t think about what you should write. Just write. Do it in a stream-of-consciousness sort of way, without stopping to think, edit or correct. After all, this is your first draft, and you’ll have plenty of time for cleaning up the chaos of this first draft in later drafts. That’s what those later drafts are for (see Step #6)! I call this technique “writing on the Muse Stream,” and it’s the foundation for all I teach, coach, mentor and writes about writing. Keep writing like this, on the Muse Stream, for a minimum of 20 minutes. Set a timer, if it will help. And when you’re done, don’t read over what you’ve written. Just set it aside for today, and know that you have started your book! Many books and instructors urge you to set ambitious daily word-count goals as a way to keep you on target toward completion. My approach to setting a goal is radically different. It’s also much more sustainable, which makes it much effective. First, I would encourage to not set word-count goals right away. Rather, I would encourage you to set writing-time goals. Ask yourself how many hours you can realistically devote to your writing each week, recognizing that, for most of us, not every day is the same. Now, ask yourself how best to divide up those hours. You do not have to be writing every day! You do not have to be writing at the same time every day. But you do have to be writing. Once you have determined how much time you can devote to your writing and on which days you will write, cut that goal by at least 25%. Why? We have been trained to set ultra-ambitious goals. That’s what our teachers, coaches and how-to books insist is the only to get where we’re going. The problem with that approach is that when we set ambitious goals and don’t meet them, it’s easy to get discouraged. When we’re discouraged, it’s easy to want to give up. When we give up, we don’t finish our book. Set goals that you are absolutely guaranteed to achieve. And achieve them…and exceed them. Then, every time you achieve your goal, set a new goal, a higher goal. Not a much higher goal; just high enough that, once again, you’re guaranteed to achieve it…and exceed it. The best way to guarantee that you will finish your book is to feel good about the process. The best way to feel good about the process is to meet your goals. And the best way to meet your goals is to set goals that you can and will meet! By the way, if your book requires research, set research-time goals that are separate from your writing-time goals. Don’t use research as an excuse to not be writing! My initial draft of The MoonQuest, my first book (and novel), came out in a single, 400-page chapter! It came out that way because I didn’t know the story except as I wrote it — from word to word and sentence to sentence. Once that first draft was finished and I knew the story, I was able to break it up into coherent sections and chapters. The MoonQuest has now won multiple awards and, as I mentioned earlier, is on its way to the big screen as an epic fantasy film. It’s easy to fall into a place of self-criticism and judgment. One of the advantages of writing on the Muse Stream (and I encourage you to write as much of your first draft on the Muse Stream as you can) is that it keeps you out of self-judgment, self-censoring and self-criticism and keeps you in the flow of your creativity and book-writing. You will have opportunities to discern (not judge) what works and what doesn’t as you move through the revision process (Step #6). But if you let judgment guide your writing, it will strip the heart and originality from your book. Your first draft is never your final draft. Not ever. Rather, it’s the initial paving stone on your path toward a final draft. Editing and revision tips are beyond the scope of this article. But the bottom line is that you owe it to your book, to yourself and to your ultimate readers to do the best you can to make this the best book you can write, as the writer you are today. There is no rule as to how many drafts it will take to get there. Some of my books have gone through more than a dozen drafts; others, only a handful. Along the way, consider getting feedback from beta readers and fellow writers. But always seek out feedback from those who will support you and your creative process, not from those who feel that their only job is to critique or criticize. And when you have gone as far as you can on your own and with the help of your writer colleagues, consider hiring an editor. An editor’s objective, a professional eye will identify many of the problems — from minor ones to structural ones — that your more subjective author’s eye is unlikely to ever catch. No book is perfect. In fact, nothing in life is perfect. Your job as the author of this book you have written is to strive for excellence, not perfection. Your job is to do your best on each piece of writing and, when it’s time, let it go so that you can create a new work (Step #10) and do your best on that one as well. As writers, we write for both inner and outer reasons. We write as an act of self-discovery, but we also write to communicate, to share our stories, ideas and experiences. We do that by getting our book published or by publishing it ourselves. Part of the “letting go” I refer to in Step #7 has to do with publishing, with putting our book out into the world — either by self-publishing (in print, ebook or both), by seeking a literary agent or by approaching publishers directly. So don’t stuff your manuscript into the back of a drawer and forget about it. Take the next step and find the best way to get it into readers’ hands. The literary world is littered with rejections, and every successful author has dozens of stories about all the times his or her manuscript was turned down before it finally got published. Chances are you will also experience rejection — by agents, publishers, readers and/or critics. Don’t let one rejection — or one hundred or one thousand — stop you. Keep writing and continue to seek out ways to become a better writer. The best way to become a better writer? Keep writing. Write more and eventually, you’ll learn ‘how to write a book’. Once this book is finished and out of your hands — either because it has been published or because it has been submitted to agents or publishers — give yourself a short break and do it again! Do it again not only to improve your craft. Do it again so that when Book #1 is a success, you will have Book #2 ready to meet reader demand! Ultimately there are a lot of people out there who are wannabe writers, some who want to know how to write a book, some who have stopped writing midway due to writer’s block, discouragement, commitment issues. But one should always learn the art of finishing what was started. Hope these tips on How To Write A Book have been big on encouraging you to go out there and give the world a beautiful present, your BOOK. Mark David Gerson, “The Birthing Your Book Guru,” is the award-winning creator of The Q’ntana Trilogy books and movies and the author of more than a dozen critically acclaimed books. 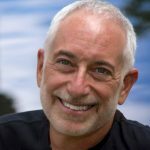 A highly sought-after speaker, coach, editorial consultant and media guest, Mark David electrifies individuals around the world with his inspiring stories and motivational talks and seminars.